ACWGC Forums • View topic - Reb needed for Antietam match. Reb needed for Antietam match. Post subject: Reb needed for Antietam match. 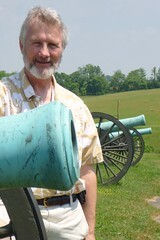 Want to play 061, 062, or 063 Antietam. No MDF or arty capture, everything else negotiable. Post subject: Re: Reb needed for Antietam match. Saw your comment re Irene & thought you needed a Reb. I am willing to do 63 - all rules on except MDF & artillery capture. Nothing has been posted here as to whether you and General Stiles have agreed to a fight. If the invitation is till open, there is room on my card for you. No MDF nor Arty Capture is fine. Gen Hovey, I have an open slot so you may choose which of 061, 062, or 063 you wish to play, and all rules except MDF and arty capture are fine with me. Sir, you reply has reached my tent and I look forward to meeting you soon on one of the fields mentioned. Unfortunately at the moment I have a problem in starting Antietam. You will receive another message from me today with more details. What else do you have, doesn't have to be Antietam. But I am sorry to say I am getting a message, "Windows Explorer is Not Responding" and I can not make my "D:" drive opperate properly. I will have to run some tests to see if I can fix it. I will write again later today. enjoy the challenge. Out turn around time should be 3 to 4 per week. I don't currently have a partner available but will put out a call, or we could do a one on one.